A Literary Odyssey: Book 31: Finished. It was really hard to read a play to myself. Trying to keep characters separate in your head while reading a play is completely different than doing it during a novel. Where you have lots of text in-between certain section of dialogue to help build the characters and add to their depth, you have to infer all of that from dialogue while reading a play. It is incredibly different. I think it might be a good idea to get the audio CD's for some of these plays. It might make keeping characters apart easier. With all of that being said, I really liked this play. It was deep, and dark and moving. It was also a great explanation of how the American Dream can not only help us, but hurt us. It is not always attainable, or it never IS what you think it is. I guess you could say that this play can serve as a reality check for those of us who dream so hard that we forget to work. I really loved how Miller set it up. The play takes place on a simple set (described in the beginning), and the character morph in and out of different sections. It also has flashbacks where the characters simply move to another portion of the stage to simulate the change of time. 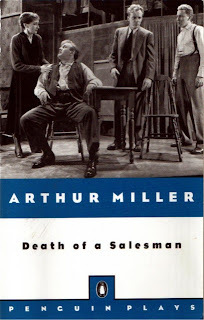 Willy Loman is a traveling salesman who believes that by being a likable person, he will be successful in his job. While that works for a small amount of time, it gradually unravels. 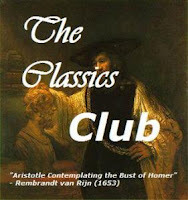 His life and his way of seeing the world slowly grows outdated as his children grow up and live their lives. His life becomes a reflection of the choices he made in the past, and some of those choices resulted in missed opportunities that could have changed his life forever. The result is a tragedy-the fall of Loman-and the fall of the American Dream. Success and happiness are more than just dreaming and hoping. Success requires work and dedication. This is definitely something that I would love to see performed and will if I get the chance. 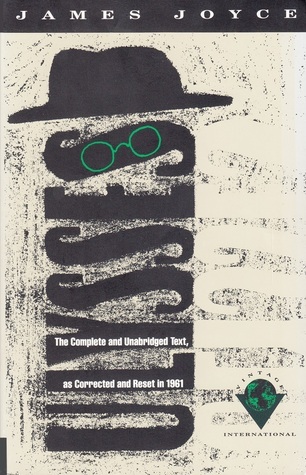 Reading is was haunting and eye-opening. I would most certainly recommend this (but listen to it or see it live!). Believe me, it's painfully depressing (which is good, since that's what it's supposed to do!) live. It is a movie as well, although I've only seen about two scenes of it.